I think I am severely out of the loop. Somewhere along the line I missed the memo that designated strawberry as the official flavor of Valentine's Day. (This must also be the same memo that declares Jay Leno is funny.) 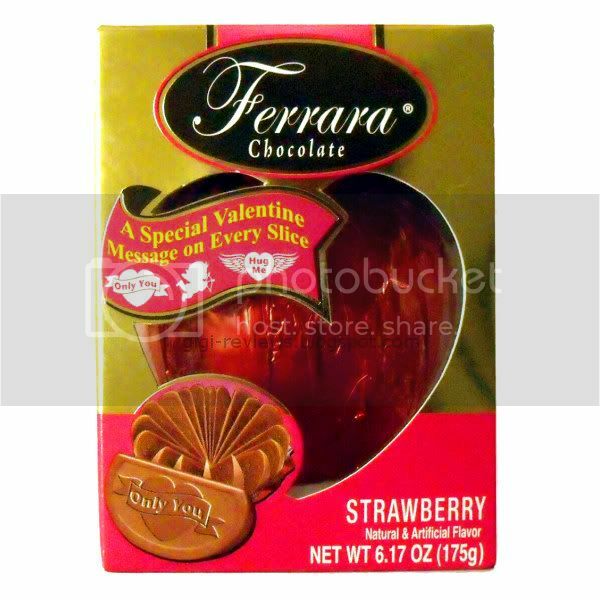 It seems like a majority of the Valentine's candy I have seen this year has been strawberry. Or maybe this has been going on for a while -- Valentine's Day is not a big holiday to me, and I think it has the weakest of all the seasonal candies. 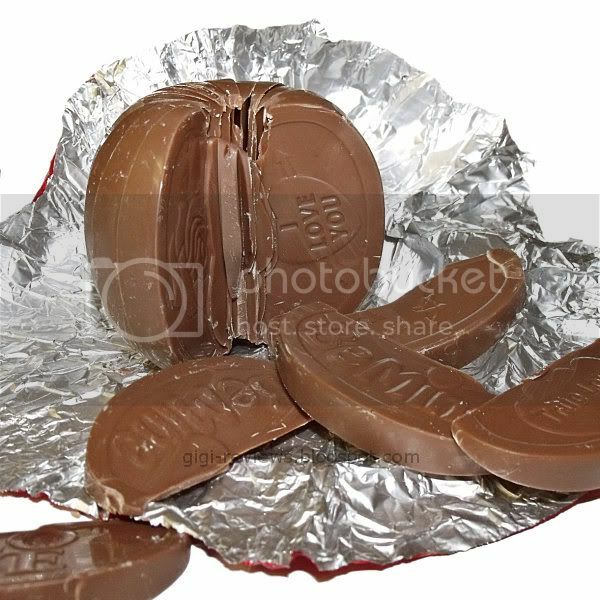 In true chocolate orange fashion, you have to "whack" the orb to break the slices off. Let me tell you, this was one solid orb -- it really took some heavy hits to make the slices break apart. The slices are nicely molded, but they don't have the dimpled outer texture mimicking orange rind (or, I would guess in this case, strawberry seeds). The scent is all milk and strawberry. Fake strawberry at that, but it's not so strong that it's noxious. 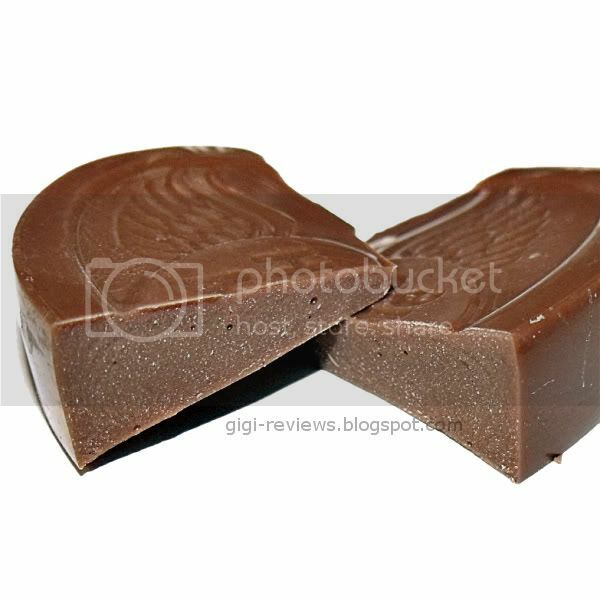 The chocolate has a really nice snap and an incredibly smooth melt. It is milky and rich. It's not the most complex nor high-end milk chocolate, but it has a good flavor and is not overly sweet. As for strawberry: The first few nibbles definitely give the sense that it's strawberry flavored...and then something weird happens. The flavor starts to taste more like fake cherry than fake strawberry. Sadly, as good as the chocolate is, the fruit flavor just gets to be too much. I made it through one slice before my teeth started to ache, and I couldn't take the sweetness of the fruit flavor. It had potential. It blew it. Your awesome pics convince me that I need to try. Gigi! What other sweet nothings did Mr. Berry whisper into your ear? And is it just me, or do you also love the phrase, burst and enjoy? Oooooh! Josie: Chris says THANK YOU! (he took the picture and now his ego is huge) I liked the chocolate, the fruit flavor was just too much. plz dont buy this choclate. 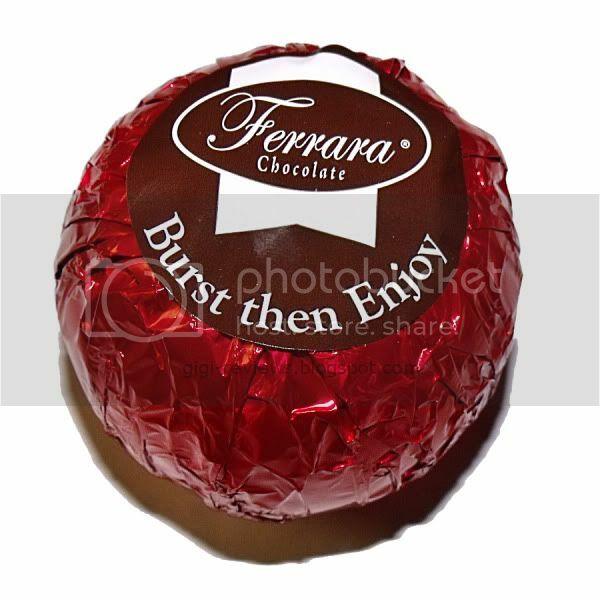 This chocolate is so hard that it almost broke my teeth off and iam pretty sure its called ferrera chocolate.IF u wanna break ur teeth off ur more then welcome to buy this chocolate.